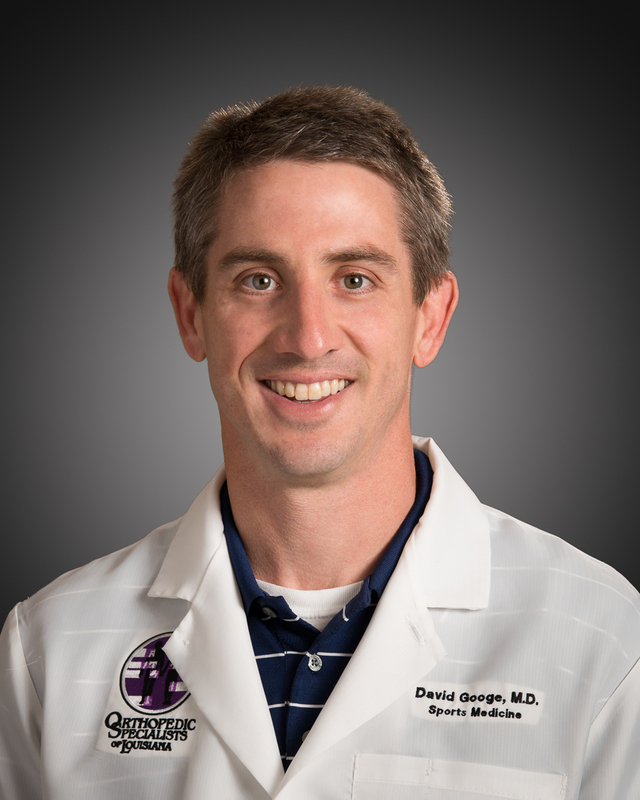 Since joining Orthopedic Specialists of Louisiana in 2008, Dr. David Googe has established himself as the region’s premier shoulder surgeon. Fellowship trained in both sports medicine and adult reconstruction, Dr. Googe specializes in arthroscopic rotator cuff and ACL repair, total shoulder replacement, as well as knee and hip arthroplasty. Dr. Googe is married, and the proud father of 5 children. He serves as an elder in his church, and is an avid tennis player. His proudest accomplishment is the relationships he has developed with local high school athletes and coaches – enthusiastically donating his time and resources to their health and achievement.